Cherry Casino offers attractive bonuses and promotions to players, whether new or returning. The casino offers a no-deposit bonus of 20 free spins, which are active for the first four days of activating the account. The winnings from the bonuses must be wagered. The wagering requirement differs with the winnings and amounts deposited (minimum deposit is €20). Cherry Casino has an impressive selection of games with amazing visuals and brilliant music, which give players the feeling of playing in a real casino. Slots include Book of the Dead, Eye of Horus, Avallon II, Games of Thrones, and classic games such as Mega Fortune, and Starburst. Other games include video poker and jackpot games. The casino has an impressive arsenal of software providers, which supply various games that are playable, have smooth graphics, and are coupled with immersive audio to create an engaging experience. NetEnt, Nyx Interactive, Thunderkick, and Yggdrasil are some of the software providers for this casino. Other game developers for Cherry Casino include Foxium, Amaya, and Sthlm Gaming. The casino supports a wide variety of payment methods depending on the preferences and residence of the player. These include the Paysafe Card, Visa, MasterCard, Neteller, and fast bank transfer. Players may also deposit funds through Trustly and Skrill. The deposit fee varies from one payment method to the other. Cherry Casino also offers a range of fast and secure withdrawal methods. The withdrawal methods are basically the same as depositing methods, and they include Skrill, Visa, Visa Electron, MasterCard, and bank transfer. The withdrawal time, fee, and limits vary among the payment methods and depend on whether they're allowed in the player's country of residence. Cherry Casino supports internationally recognized languages, and it's likely that the player will find it easy reading the terms and conditions, as well as navigating and placing bets. These languages include English, German, Swedish, Finnish, and Norwegian. To choose the language, the user should select the language from the drop-down menu at the bottom of the site. Some of the currencies which Cherry Casino accepts include Swedish Krona, euros, Norwegian Kroner, and the Great British pound. But players from countries that use these currencies can still convert their money into the specific currencies when using this site. Withdrawals can also be made in these currencies and later converted into preferred currencies. 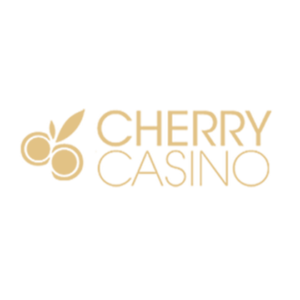 Cherry Casino offers various play methods, including instant play, where players access the site without necessarily downloading the casino app. Players can use the mobile casino to bet on their favorite teams (variety of sports) and play their favorite casino games. Additionally, there’s a live casino to provide a real-life experience similar to bricks and mortar casino. Cherry Casino customer support team work around the clock to ensure no query goes unanswered. They’re friendly, professional, and always available. They have an online contact form where players can ask questions. A customer care agent from the casino provider responds within 30 minutes. Players can also contact the support team through phone and email.